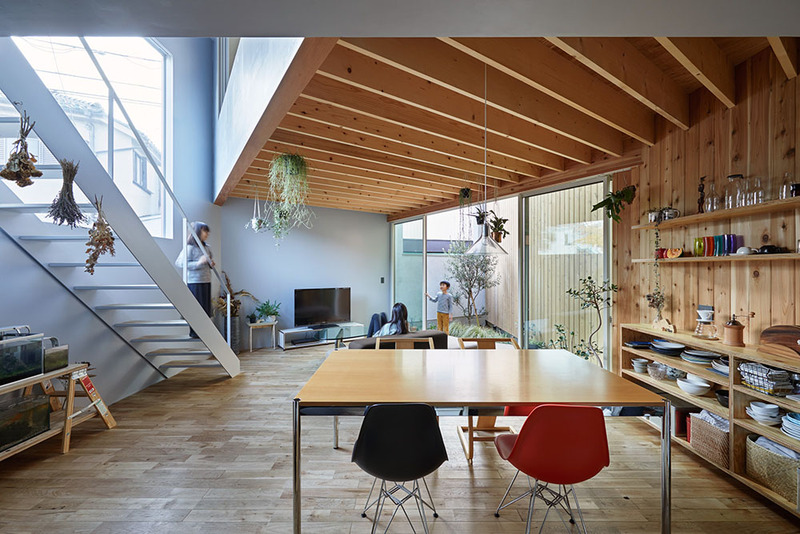 This project was a small home for a young couple and their three kids, located in a residential district near a station in the Nerima Ward of Tokyo. Houses on small plots of land are packed densely together in this area. 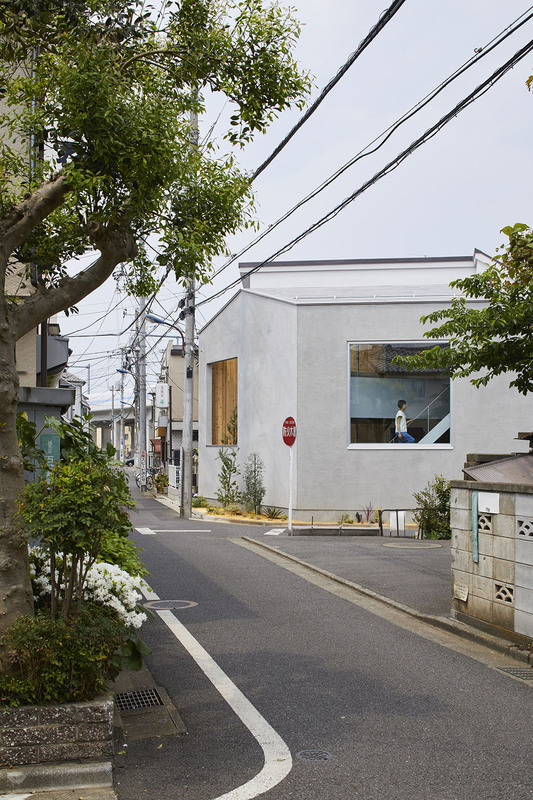 The house we designed here has two large openings 2.4m high and 2.4m wide. Composed in layers, there is an atrium and courtyard beyond the large openings and further windows beyond the courtyard. 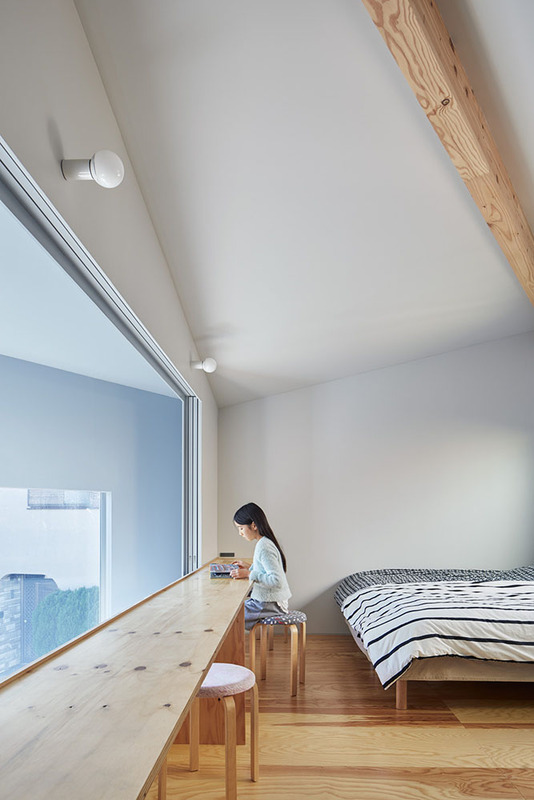 This ensures the privacy of the residents while simultaneously creating a three-dimensional connection to the outside environment. In typical homes, one can guess where the different rooms, like the living room and bedroom, are located, based on the size of the windows. 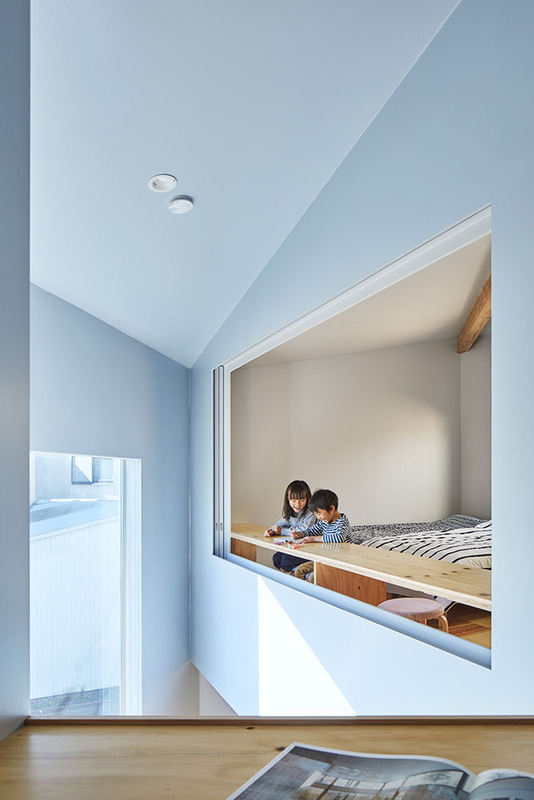 This design incorporates large-scale windows that do not allow others to predict the interior composition of the home. 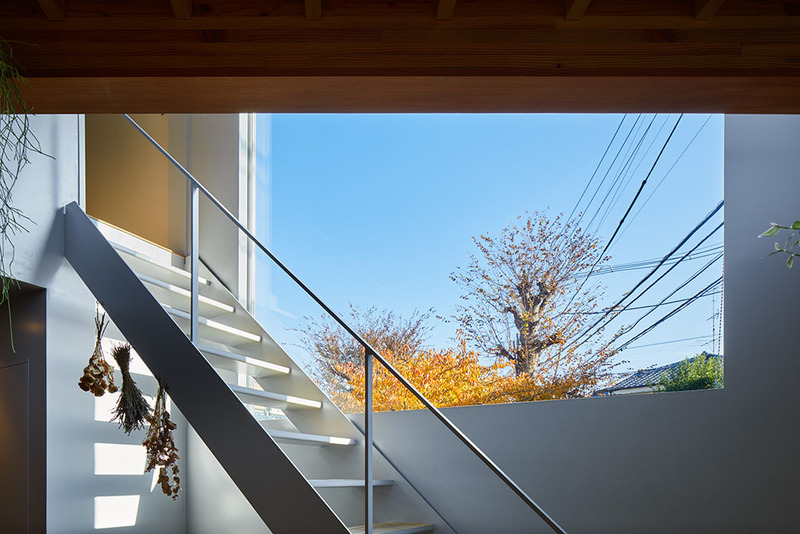 The window on the first floor frames the neighboring sakura tree and the sky while the second floor window allows you to look down onto the busy city intersection. 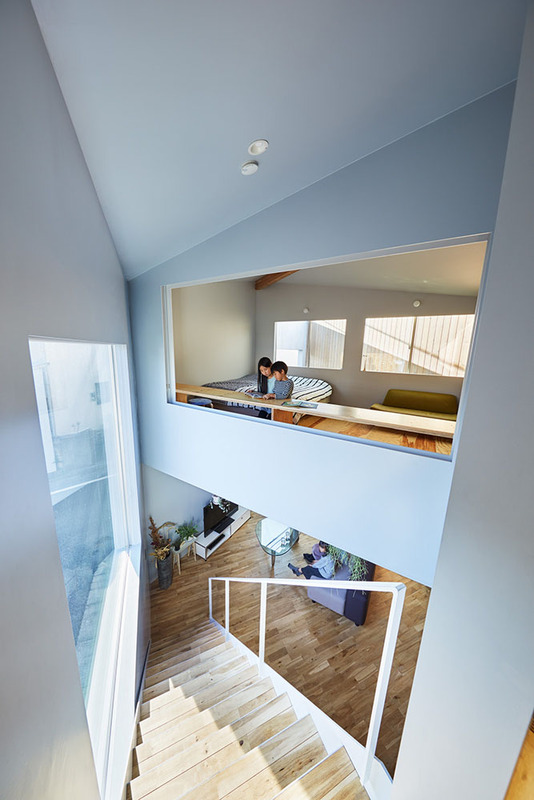 The outdoor environment, drawn into the space from these large windows, filters in through the triangular atrium and courtyard and throughout the home like a wedge driven into the space. 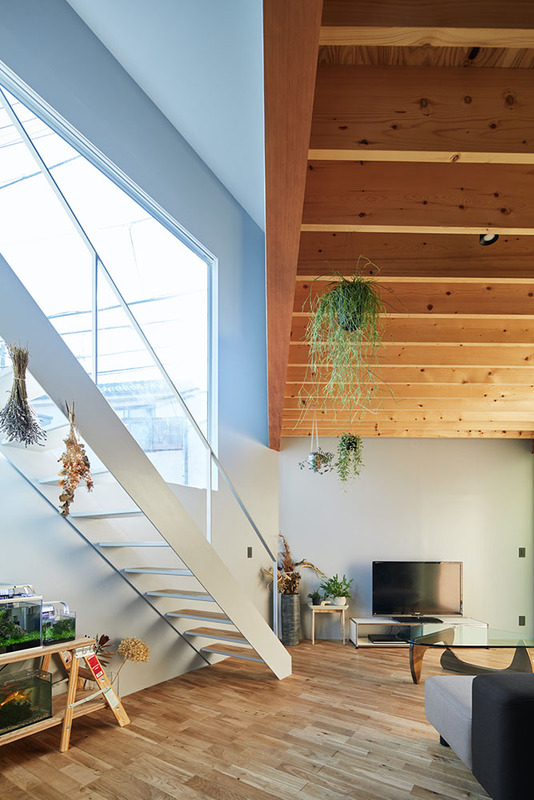 By framing the sun, light and wind and incorporating them into the home at differing angles, this house allows you to truly experience the rich environment unique to city living.